Il PhidgetEncoder Highspeed 4-Input puo' leggere, simultaneamente, fino a 4 encoders a quadratura ottici e/o meccanici. The PhidgetEncoder Highspeed 4-Input can be used with a wide assortment of mechanical and optical encoders. The encoder should be of quadrature output type, indicating that there will be two quadrature output channels (usually labeled A and B) and an optional third output channel to signal when the index pin (a reference point for zero position or a complete revolution) has been reached. 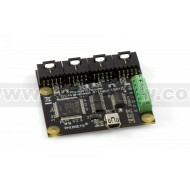 The PhidgetEncoder Highspeed 4-Input is able to read four encoders simultaneously. Encoders are not powered up until all initialization of the device is complete. It is possible to enable some or all encoders, depending on how many of the channels are being used. This can also be used to reduce power consumption when certain encoders are not needed. 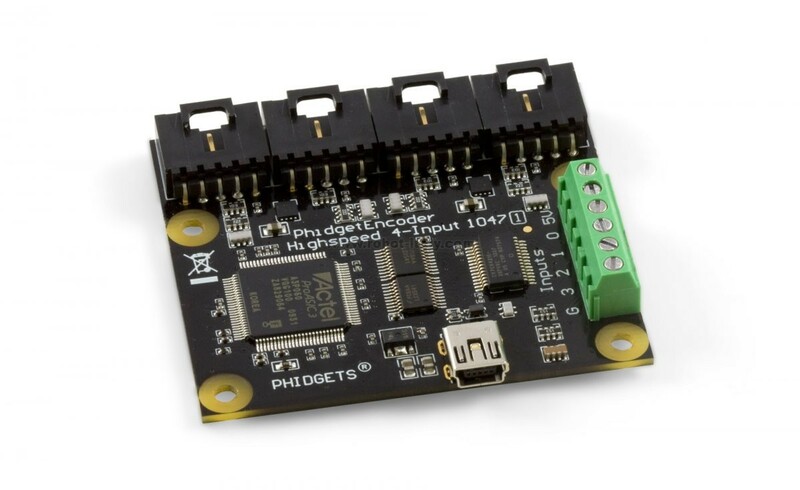 The PhidgetEncoder Highspeed 4-Input has the added ability to time the duration between a group of quadrature changes. The time is returned in microseconds. This time value can be used to calculate velocity and acceleration. Both mechanical and optical encoders are available, with optical encoders dominating at > 100 counts per second. Review the data sheet for the encoder you are planning to use to ensure it is compatible with the PhidgetEncoder Highspeed 4-Input. 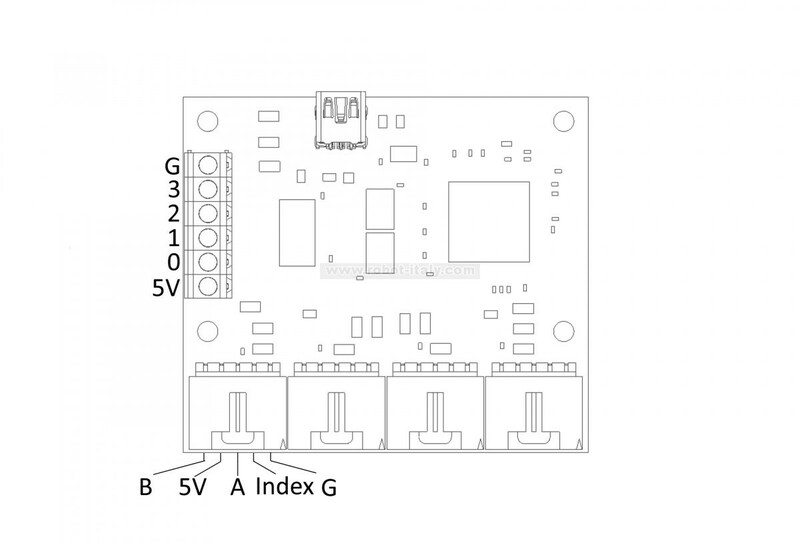 Almost any incremental quadrature encoder will work but it is important to verify this before connecting it to the Phidget. Absolute encoders will not work with this device. This particular revision of the 1047 has improved power switches to enhance system stability when turning off and on separate encoder inputs. It also has updated firmware with a few minor bug fixes.